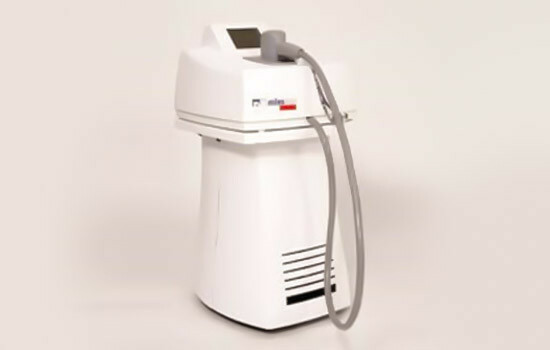 The Milesman Premium Diode laser is one of the most powerful devices on the market. With 2,000 W of power, it manages to condense a high amount of energy in very little time, ensuring obvious results in just a few sessions. The laser has an impressive series of features that sets it apart from others, such as an ultra-cold tip to protect the skin and a medium and long pulse to safely and effectively treat dark and black skins. The laser light – with waves 810 mm long – is absorbed by the skin, turning into heat and eliminating the cells responsible for hair growth. It is essential to note that the laser must produce enough heat; otherwise, the cells will not be destroyed. To reach this heat level, the device must have enough power. User-friendly touch screen and training materials enable users to work with the device soon after acquiring it. The laser is easy to use. Getting safe results is possible with the Milesman Premium. From the screen, you can control the entire device along with the parameters you want to use. The Milesman Premium has an external cooling unit that keeps the applicator tip at a temperature that hovers between -3º C and 0º C. The cooling is applied constantly during the entire treatment, so not only does it protect the skin, it also minimizes discomfort. Powerful devices generate a huge amount of energy, so they need a cooling system that protects the skin during treatment. It is also important to note that this cooling requires no major consumables. 3. The treatment of pseudofolliculitis barbae and hirsutism.